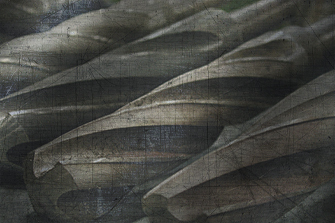 As a shop engineer, you may already know that the difference between carbide tools and high-speed steel can make a significant difference in the quality of production and the speed at which you can turn out product. There are variances between the tolerances and effectiveness of both materials, and the difference can make a significant impact on your processes, depending on your specific machining requirements. To simplify choosing the right equipment for your next cutting job, here are the pros and cons of carbide and high-speed steel tools. Originally developed as an alternative to diamond cutting tools, carbide tools are created by combining tungsten carbide particles with a specific amount of cobalt. This process uses heat and/or pressure to form a solid mass of metal. The resulting material can then be shaped into whatever type of tool you need. Cobalt acts as a binding agent that holds the tungsten carbide particles together. As the technology and methods of production have been refined over the last century, manufacturers of carbide have focused on reducing the particle size of the material and increasing the cobalt content to create more stable uniform structures. These micro-grain carbides as they exist today are stronger and more robust than conventional carbide tools. Micro-grain carbides are also stronger and have more significant impact and wear resistance than first-generation carbide tools that were manufactured in the early decades of the 20th century. Developed after carbide cutting tools in the 1930s, HSS (including M1 and M2 types) have set the industry standard for metal cutting tools. HSS possesses exceptional toughness, wear resistance, and grinding in manufacturing. It’s also hard enough to handle most metal cutting used in general production. HSS tools are popular because they are more cost-effective for short manufacturing runs and they also hold a sharper edge than carbide cutting tools. Furthermore, HSS tools can also be manufactured using premium steel (HSSE), which has more cobalt and vanadium combined with a higher percentage of tungsten carbide steel. This makes it as forgiving as HSS, but with improved durability and wear-resistance. In other words, it's a much tougher HSS that wears out less rapidly. The main drawback to HSSE tools is they are more costly than regular HSS or carbide cutting tools. Ultimately, the choice of carbide over HSS comes down to what you need to cut, and how fast you need to cut it. If production times need to be kept tight to deliver the product on time, carbide cutting tools definitely offer superior run times on longer production runs without adding significant additional production costs. Conversely, if you are mostly turning out short production runs with fewer units, HSS cutting tools may prove to be the better alternative. Whatever you choose, make sure that your choice of instrument is going to serve your production interests without increasing run time or production cost beyond what your business can tolerate.